(e) is the child of the spouse of the person seeking to adopt (the “petitioner”). Unlike Ohio, Michigan Compiled Laws Section 710.22 does not place limitations on the class of adults who may be adopted. But, in both states, the petitioner must go to the court to ask for permission to adopt the adult. Positively, adopting an adult will allow the adoptee to inherit from the adoptive parent(s). Negatively, adopting an adult may prevent the adoptee inheriting from his or her biological relatives if said relatives die without a will or other estate plan. Another potential negative consequence is that if someone in the adoptive family willed his or her estate to “family” or “heirs” – intending for his or her estate to only be inherited by blood relatives – the adoptee may inherit from that relative even though the relative did not intend for the adoptee to receive any inheritance. 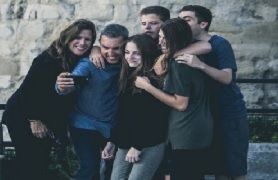 Therefore, if considering adoption of an adult merely for inheritance purposes, the adoptive parent(s) might consider simply adding the adoptee to his or her will, to allow them to inherit from the adoptive parent(s) without potentially disinheriting the adoptee from his or her biological relatives. Additionally, when designing your estate plan, you may want to consider the possibility of additional heirs and whether or not you wish to benefit the adult adoptees, whom you may never have met. However, the consequences of adult adoption vary on a case-by-case basis. Should you have any questions regarding adult adoption, please contact one of our estate planning attorneys. Disclaimer: This alert has been prepared by Eastman & Smith Ltd. for informational purposes only and should not be considered legal advice. This information is not intended to create, and receipt of it does not constitute, an attorney/client relationship.